Pastor Dave Asendorf is a 2007 graduate of the Lutheran Theological Seminary at Gettysburg. After serving his internship at Salem in 2005-2006, he began his ministry here on January 1, 2007. Prior to entering seminary, Dave worked 25 years for the Federal government. He and his wife Nancy have two children. Pastor Asendorf has experienced the Salem congregation as a welcoming community grounded in the gospel of Jesus Christ. The people of Salem are generous and seek to share their abundant gifts with those in need. The Salem congregation is healthy and growing and open to newcomers. 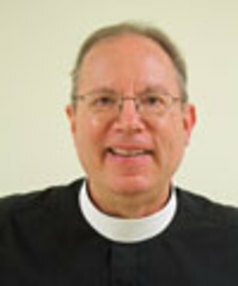 Pastor Dave serves as the Vice-President of the Catonsville Emergency Assistance, serves on the DE-MD Synod’s Campaign Action Team and is Chairman of the Synod’s Candidacy Committee. Candidacy in the Evangelical Lutheran Church in America is the churchwide process of preparation and formation leading to approval for the public ministries of our church: commissioned associate in ministry, consecrated deaconess or diaconal minister, or ordained pastor. He just finished a three co-chairing the Synod’s Malaria Campaign which helped raise over $330,00 to eradicate malaria.